Ju 88A-5 M2+MK of Kustenfliegergruppe 106, which took off from Morlaix on November 26, 1941, on an anti-shipping hunt and landed by mistake at Chivenor. It has been given RAF roundels and the serial HM509. 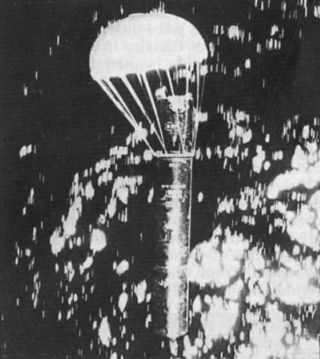 A TIM bomb being dropped over the sea by 217 Sqn, in practice. Left, a stricken Beaufort dives out of control towards the sea and, right, explodes on impact. 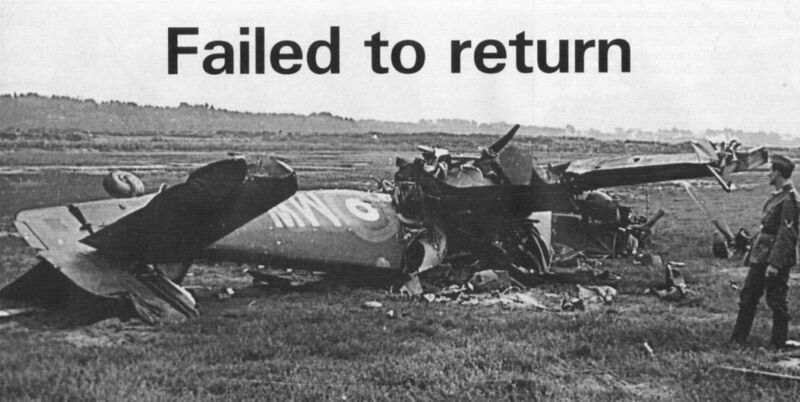 The crashed Beaufort I of 217 Sqn, near Vannes in Western France, on December 17, 1940. On the original print it is possible to pick out the serial L4463 behind the squadron code MW. The squadron received its first Beauforts during the summer of 1940; they replaced the Avro Ansons which the unit had been using on convoy protection and reconnaissance duties. 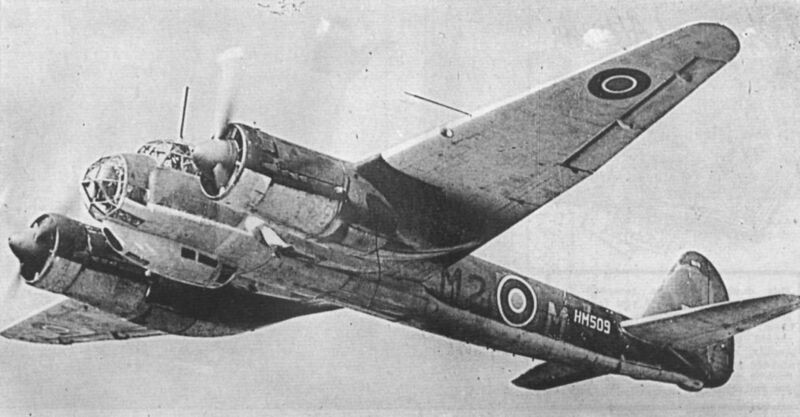 No 217 Sqn used Beauforts until the spring of 1942, and re­equipped with the type in April 1943 after a period with Hudsons. 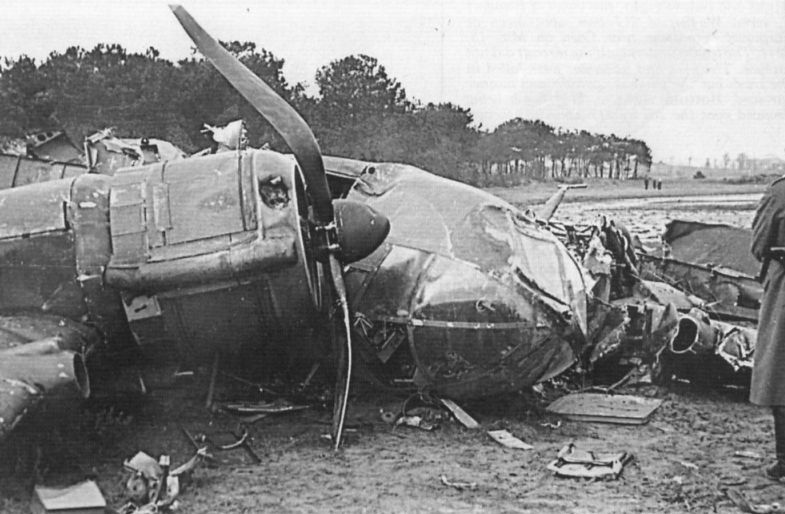 In this view of the crashed Beaufort near Vannes, there is a dent with several holes in the exhaust ring of the starboard engine. This looks like damage from 37mm or 88mm flak. Although it is December, the trees are in foliage: they are pinasters, evergreens which the French plant on their sandy coasts to prevent erosion. 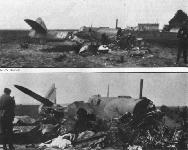 Two views of Beaufort F, serial W6494, of 217 Sqn, shot down at Carpiquet aerodrome near Caen on May 13, 1940. The bombs underneath the aircraft did not explode. 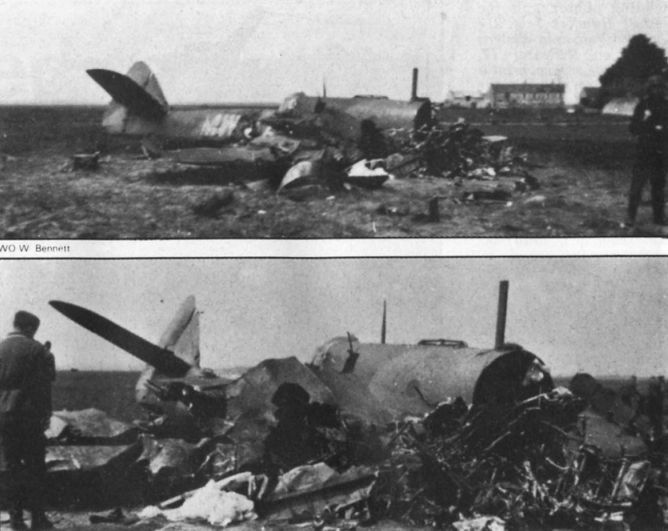 The pilot and navigator were killed in the crash but the wireless operator and gunner survived.